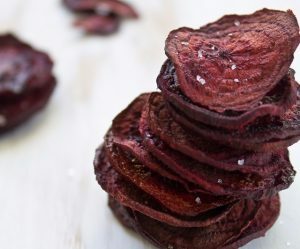 A colorful alternative to the usual potato chip, a healthy alternative too. The rosemary reminds me of Christmas, so these could be a great addition to your usual holiday snack, in fact, the color does too. What is the oil listed for?